Rev. Sheri Heller’s A Clinician’s Journey from Complex Trauma to Thriving is not a dry treatise on psychotherapy. 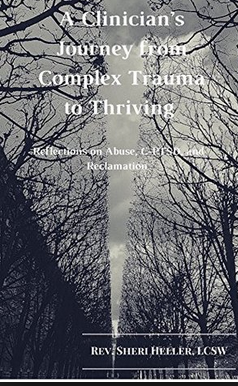 The author is a practising psychotherapist and the book is a collection of articles on issues such as complex trauma, child abuse, PTSD, various types of addictions and personality disorders and offers means of recovery and treatment that may lead to cure and even mental and spiritual thriving. Yet, what makes A Clinician’s Journey an enjoyable read is the manner in which the writer touches issues that lie beyond the limits of her domain and yet have a bearing on our mental well-being. Rev. Heller judiciously uses the subjective and the objective by blending the clinician’s point of view with intensely personal experiences that do not appear out-of-place at all. In fact, those personal elements bring a delightfully sincere touch to what could have otherwise been a dry academic discourse on psychotherapy. For this reviewer the most impressive chapters of the book are those in which the author seeks to explain issues that lie beyond the immediate fields of practice of a clinical psychotherapist. Rev. Heller writes with a sense of delightful humour on ‘Geopolitics and the Psychopath’ and acknowledges that such historical realities as the brutality of war and suffering makes her turn to her ‘chosen field of psychology for answers’. She draws attention to the psychopathic traits observed in heads of state or high-ranking officials and analyses how such a psychopathic tormentor is often considered by the masses as their redeemer. The truth of her statement compels us to look around us in today’s world and nod in agreement. So true indeed! 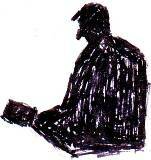 This reviewer received an electronic copy of the book for an honest review.